It’s happened to anyone who’s worked for Burt’s Bees longer than a few months. You meet someone new and tell them where you work. And the next thing you know, they’re showing you the contents of their pockets and purses, pulling out signature yellow tubes of lip balm. People love this brand that much. It’s personal to them. And so we at Burt’s Bees have been wondering how we celebrate that personal connection people feel for our brand. The answer, of course, is by getting even more personal. For several years, we’ve been able to make special, custom Burt’s Bees® lip balms for high-profile fans of the brand, such as editors, celebrities, makeup artists and influencers. 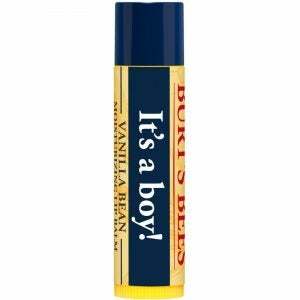 But we hadn’t yet found a way to produce personalized Burt’s Bees lip balms at scale. That’s changed. We ran a successful test to offer personalized lip balms last holiday season. People loved it so much, we sold out in just three days. 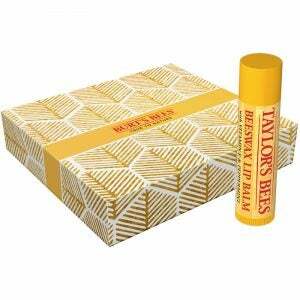 Thousands of people from all 50 states jumped at the opportunity to have Burt’s Bees lip balm tubes with their own names on them. Armed with lessons from that test, we are now able to offer personalized Burt’s Bees lip balm year-round, either as 4-packs or in bulk. And with seven Burt’s Bees flavors to choose from, there’s sure to be something for every fan. We’re highlighting the 4-packs on our website and social channels now as the perfect holiday gift. Come spring, we’ll feature bulk orders to make our fans’ weddings, graduations, baby showers and other major life events even more special. Be sure to place your order by Monday, Nov. 26 for a Christmas delivery. And click here to learn more about Burt’s Bees custom lip balms today!